Ryan says, Don't leave Berlin without grabbing a drink and döner kebab in Kreuzberg and enjoying them on the canal surrounding Admiralsbrücke. 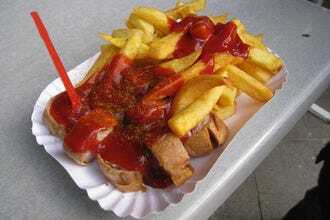 Sometimes, the urge to have Fine German food strikes, and nothing satisfies until you get it. When that happens, count on 10Best to point you in the direction of Berlin's best Fine German restaurants. 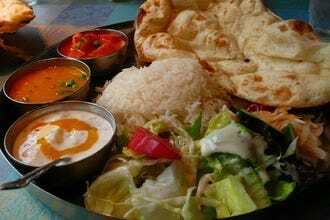 Berlin is an especially interesting example - as this international cosmopolis is certainly the place to go to eat virtually any other type of cuisine as well. Nevertheless, its important to bear in mind that Berlin's culinary chops are gaining traction and receiving attention from the international find-dining community. Indeed, Berlin now sits undisputed atop the heap of German cities with the most Michelin-starred rated restaurant city in Germany, besting perennial favorites Hamburg, Munich, and Frankfurt. Berlin has certainly arrived - and its fine German cuisine is some of the very best on its home turf. 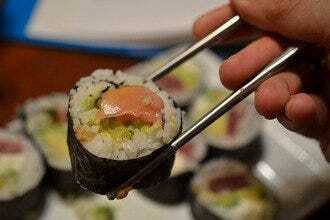 Accordingly, the restaurants selected here represent this cuisine. 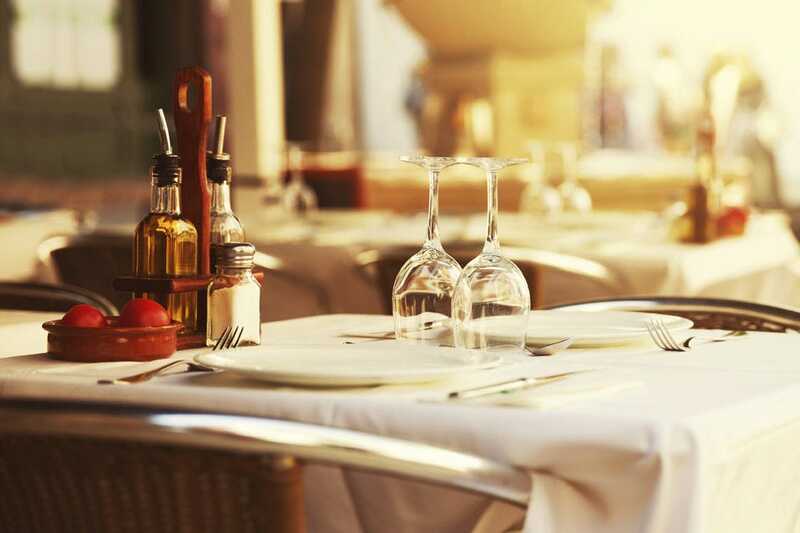 We vet restaurants carefully for quality, and when we recommend popular eateries like Restaurant Quarré or tell you that Zur Letzten Instanz gets good reader feedback, you can believe it. Some of our choices also include other types of German regional specialties, such as Swabian cuisine at Alpenstück. No matter type of German cuisine you're looking for or budget you're working with, we'll make sure you get - and eat - what's best. Housed in a timber customs house that overlooks the Landwehrkanal, Altes Zollhaus specializes in organic, nouvelle fare. Indeed, the restaurant, adorned with rustic furniture and set amid tall trees, recollects the charm and elegance of a bygone era. Menu highlights include seasonal dishes like Brandenburg duck with cream potatoes and roasted steinbutt with lobster sauce, spinach, and cauliflower purée. A wonderful wine list complements these choices, and during warm weather, you can choose a charming garden as your dining backdrop. Three-, four- and five-course prix fixe dinners are available. Reservations are a must. The closest U-Bahn stop is at Prinzenstrasse, located along the U1 line. 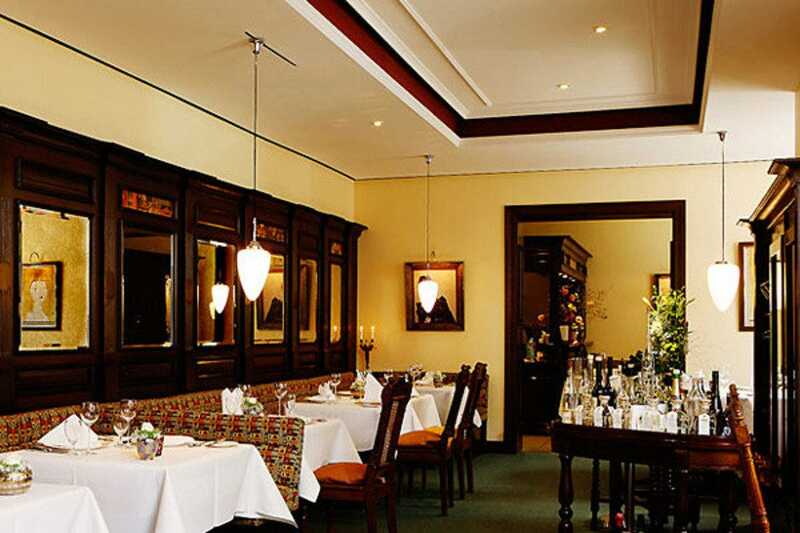 Located in the Hotel Palace, this notable restaurant features traditional German fare. 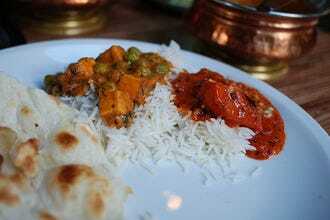 The menu changes seasonally, which ensures use of the freshest ingredients. Among the list of choices provided are arugula-flavored butter, cassoulet of lobster, entrecote, and especially the eel. The haute cuisine at this gourmet restaurant is normally accompanied by a large amount of amuse bouches. One of the most notable achievements of First Floor is the wine list, which is actually more of a book - it comprises a list of an astonishing 1500 different wines. Reservations are generally considered a good idea at this establishment. The closest U-Bahn station is Zoologischer Garten, which is on the U9 line. In the south of Germany and west of Bavaria lies the Schwäbische Alb (or Swabian Alb), a high plateau known for its harsh living conditions over the centuries. Alpenstueck offers a contemporary take on the cooking traditions of this region, with a little "Austrian kitchen" thrown in. 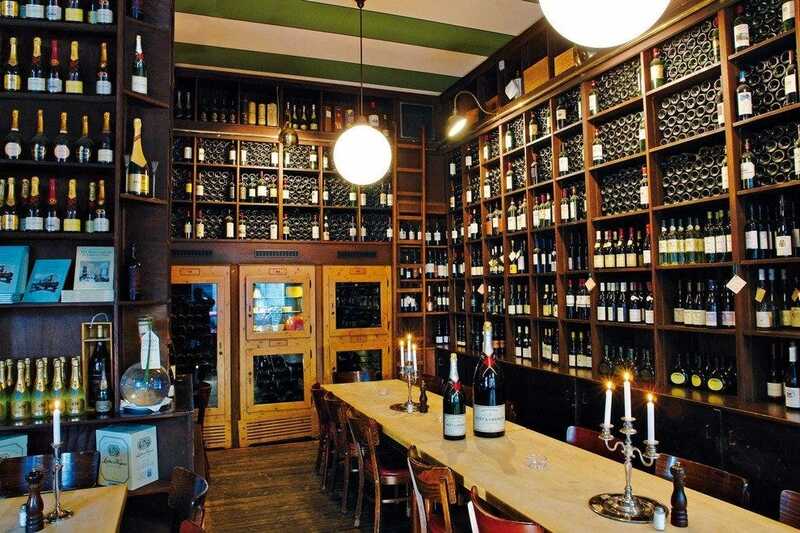 While the menu is surprisingly small, what's on offer is fine fare, a great wine list, and upmarket dining and atmosphere at reasonable prices. The interior palette is a stunning mix of soft greys and pale woods - with its minimalist, leather interior, it looks akin to a Scandinavian dining room. The closest S-Bahn station is located at Nordbahnhof. 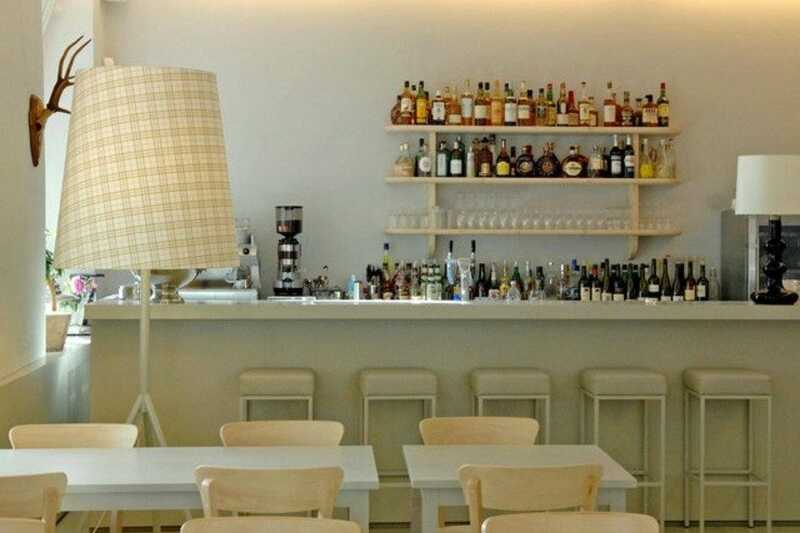 Trendsetter VAU defined hip in the Mitte district when it opened and continues to age well. 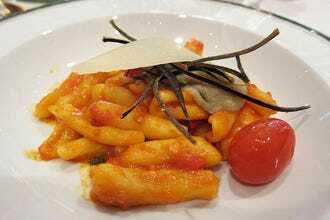 Business people enjoy this boutique restaurant for its refreshing decor, creative cuisine, and extensive wine list. Large wooden umbrellas set the scene for guests to enjoy a respite from their stuffy offices and take advantage of a pleasant dining experience. The excellent German fish and game dishes prepared by chef Kolja Kleeberg have earned him endless praise and awards. Daring combinations include Ente mit gezupftem Rotkohl, Quitten, und Maronen (duck with selected red cabbage, quinces, and sweet chestnuts) and Steinbutt mit Kalbbries auf Rotweinschalotten (turbot with veal sweetbread on shallots in red wine). Reservations are recommended; be aware that courtyard dining offers the optimal experience. The closest S-Bahn stop is at Hausvogteiplatz. 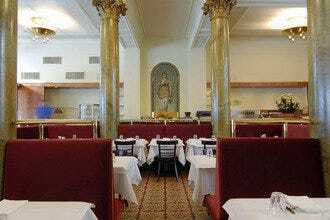 How many restaurants can claim to have served Napoleon and Gorbachev? 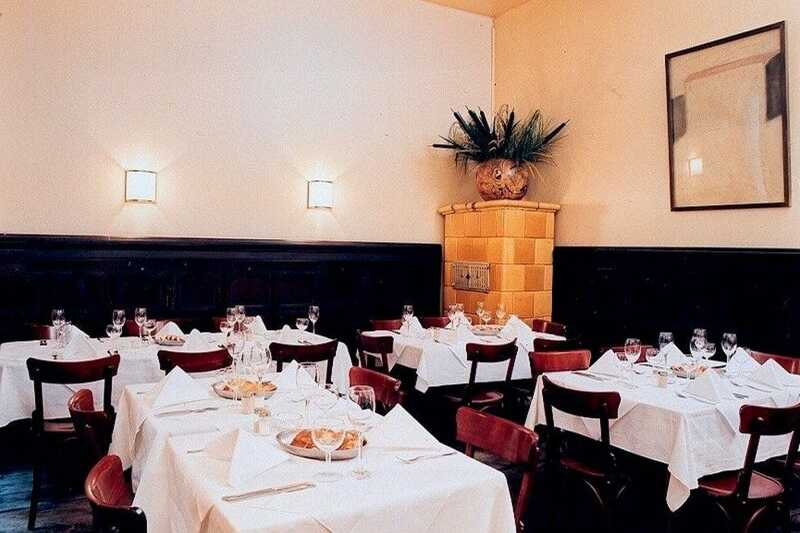 Moreover, Chancellor Gerhard Schröder treated French president Jacques Chirac to a meal here in 2003. 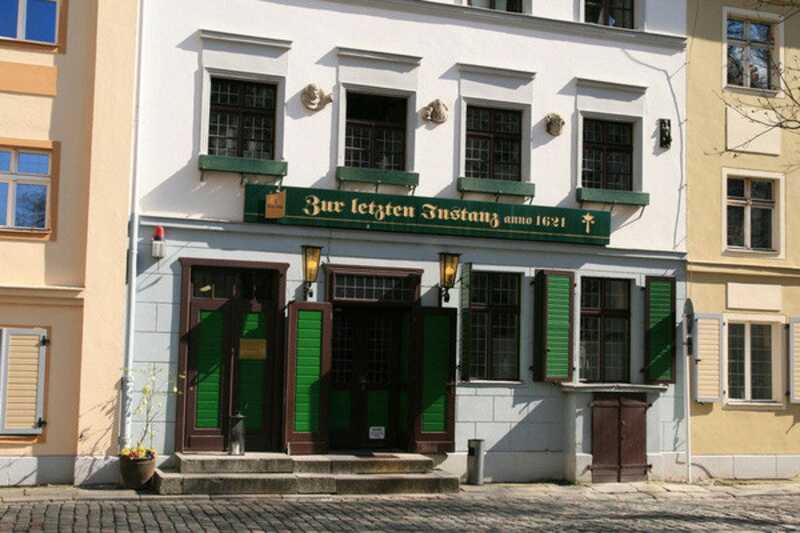 Zur Letzten Instanz has been a mainstay in Berlin since 1621 in a forgotten nest of medieval streets and continues to attract diners who enjoy variety and taste in their food and beer. The small menu focuses on some of Berlin's most traditional specialties, including Eisbein (pork knuckle), and takes its whimsical dish titles from classic legal jargon. (The national courthouse is located around the corner, and the restaurant's name is a rought equivalent of the English idiom "at the eleventh hour.") Experience the cozy, old world charm and friendly service. The closest U-Bahn station is Klosterstrasse. 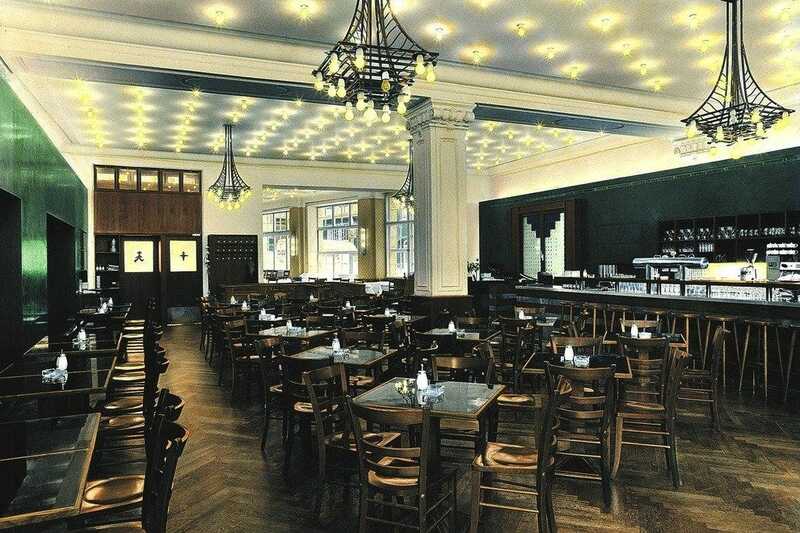 Located on the ground floor of the Hotel Adlon, this elegant restaurant gets high marks from locals and travelers alike, thanks to outstanding, globally-influenced German cuisine. Of course, impeccable service and spacious, well-appointed environs earn their fair share of applause as well. A patio seating area opens wide to Pariser Platz, allowing natural light to bathe the main dining room and affording terrific views of Berlin's iconic landmark, the Brandenburger Tor. Quarré is open for breakfast, lunch, and dinner daily, and Sunday brunch is an unforgettable affair. At Quarré, reservations are strongly encouraged. The closest S-Bahn stop is Unter den Linden. Intimate. Elegant. Historic. These adjectives perfectly capture the ambiance and charm of the Charlottenburg restaurant Alt Luxemberg, which is located in a renovated customs house. Attractive décor, antique furnishings, an attentive waitstaff, and a skilled kitchen work together to create a most pleasant dining experience. Menu selections feature traditional German cuisine tempered by a dash of Eastern spice, including honey-glazed duck breast and Brandenburg duck with pineapple chutney. Locally -sourced cuisine takes precedence here. Guests may choose from three-, four-, or five-course prix fixe menus. Reservations are a definite must. The closest U-Bahn lies at Sophie-Charlotte-Platz, which is located along the U2 line. Originally off the beaten path, Lutter & Wegner has returned to its historic location across from Gendarmenmarkt, the beautiful square housing two churches in the centrally located Mitte district of Berlin. The dark-wood-panel walls, parquet floor, and multitude of rooms takes you back to 19th-century Vienna. The cuisine is mostly Austrian, with superb game dishes in winter and, of course, a Wiener schnitzel with lukewarm potato salad. In the Weinstube, or "wine bar," meat and cheese plates are served until 3 am. Lutter & Wegner is located just off the chic shopping area of the Friedrichstraße, with the closest U-Bahn stations being either Stadtmitte or Französische Straße - both lie along the U6 line. This huge and yet cozy German restaurant is in the middle of the action at bustling Hackesche Hófe, and one of the best places to munch on internationally flavored German food while doing some fascinating people-watching. The Hackescher Hof--sporting the walking green man symbol from East Berlin's stoplights--is a mix of Ostalgie (nostalgia for the East), solid cooking (if available, go for the regional country dishes) and an intriguing clientele made up of tourists, intellectuals, artists, journalists, and writers, all coming together in a beautiful, wood-paneled but always smoky dining hall with some outside tables in the courtyard. Reservations definitely recommended. The closest S-Bahn is at Hackescher Markt. Swabian cuisine may be something you're not familiar with...yet. Once you dine here, you'll want to know more about traditional Swabian food, which is a type of cuisine taken from medieval Germany. Here, it's French influenced and served in a very relaxed and warm, inviting atmosphere. The handwritten menu is just one page, but there's always a changing variety of fish, fowl, and meat dishes in this well-established restaurant in the heart of the buzzing nightlife scene around Savignyplatz. Steinbeisser, a white, flaky fish, might be served with a salsa of rhubarb, chili, coriander, and ginger, or you can opt for some Franconian comfort cuisine such as Kirchweihbraten (marinated pork with baked apples and plums) or their legendary Nürnberger Rostbratwurst (small pork sausages) served as late-night snacks. The closest S-Bahn to this West Berlin eatery is at Savigny Platz.